Oprah praises Jacinda Ardern in Women in the World summit speech. "Channel our inner Jacindas." Oprah's words for Jacinda Ardern that earned a standing ovation. Oprah Winfrey has interviewed her fair share of powerful, influential world leaders, but she doesn’t think she’s ever seen anyone quite like New Zealand Prime Minister Jacinda Ardern. 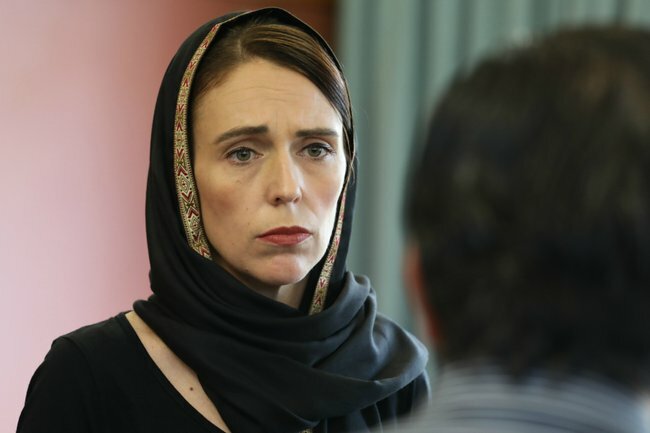 Describing Ardern’s handling of last month’s Christchurch terror attack on two mosques, Winfrey said she had “never seen such leadership” during her keynote speech at the 10th annual Women in the World summit in New York City. Jacinda Ardern has redefined what it means to be a leader in a time of crisis. Post continues below video. 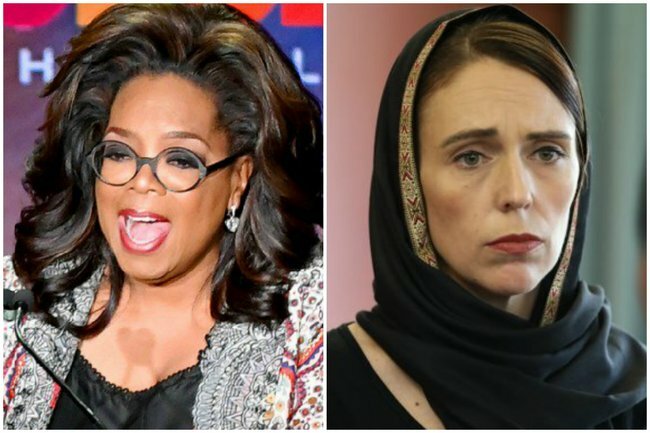 Winfrey praised the decision of Ardern and women around New Zealand to wear head scarves to emulate the hijab, saying the Muslim community felt their benevolence. "Fifty murders that could&apos;ve brought even more destruction instead lead to the portrait of the Prime Minister displayed across Dubai&apos;s tallest building, with the word &apos;peace&apos; shining above it in English as well as in Arabic. "Jacinda Ardern projected peace and goodness and the Arab world projected it right back for all of us to take in. And suddenly we saw that the &apos;other&apos; didn&apos;t seem that much different from us. "So here, women in the world, we have to make the choice every single day to channel our own inner Jacindas," she told the cheering crowd, who gave her speech a standing ovation. "We need to be the truth, we have to be the respect, we have to be the fierceness, the love, that we want to see and when we do that, mark my words, a change is already coming." Winfrey said we already were.